Members of PCS in the Ministry of Justice (MoJ) have just concluded a consultation exercise with regard to a new offer and contract called MEP (modernisation employment programme). It is almost certain that this so-called "modernisation offer" will be rejected by a huge majority in a ballot which will end on 30 August. Contrary to the myths and lies being put out by the national press, it's anything but 9% over the next three years. The offer is a five-year proposal over which the average pay increase would be 2.2%. 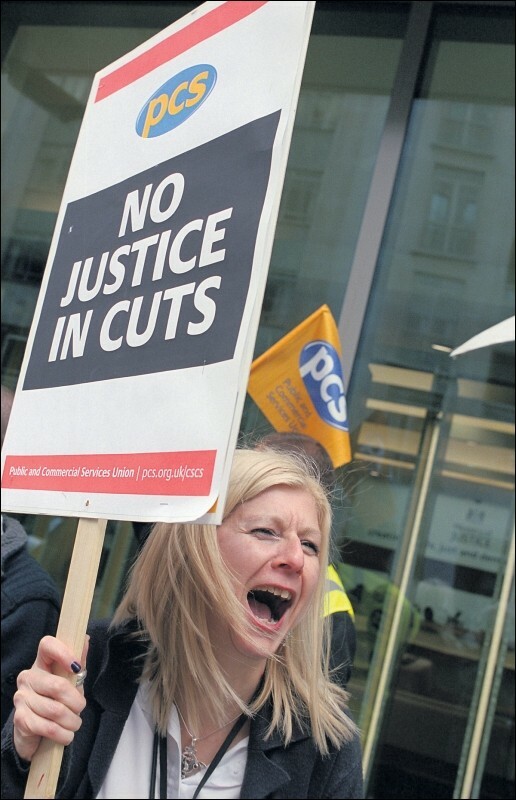 There is no opt-out clause and in return for the so-called 3%, MoJ expects members to work a 38-hour week (current standard is 37, while some work 35). Employees might be asked to work on Saturdays, bank holidays, lates and earlies. Occupational sick pay will be reduced from six months full pay and six months part pay to five and five. There is no new money. In return for the so called 3%, overtime payments will be slashed and what remains will be at flat rate and non-pensionable. Mileage allowance will be cut to 25p a mile maximum. 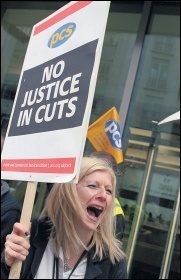 This is a package aimed for the future in which MoJ wished to slash the number of employees by 8,000. The vast majority who remain will relocate to "regional business centres" (call centres). The reaction to these proposals speaks for itself. 1,200 have now joined the union. If the employer fails to improve on this offer, or tries to impose it, then the mood is there to build for industrial action. We appreciate the support and help that we are getting in MoJ from other branches and groups. It is important for members across the whole union that we defeat these attacks on our pay and conditions to stop other departments in their tracks trying to do the same. We are working closely with the national disputes committee and want the national union to help us explore the opportunities to coordinate campaigning on this year's pay with other groups. This can put maximum pressure on the Treasury to fund above-inflation pay rises for our members.